Think that you’re ready to publish your book? Think again. Before you send your book off to the printers, you not only need to make sure that the content of your book is good — it also has to look good on the page. Imagine your gut reaction to a room that’s sloppy and cluttered, for instance. Not great, right? If the interior design of your book is similarly slipshod, your readers will also discover a sudden urge to back away slowly. That’s why we’ll sum up the secret to a more inviting reading experience in one word now: typesetting. In this post, we define what is typesetting and investigate what separates the pros from the amateurs (and why it really matters). Then we answer the biggest question of all: how can you make sure that you’re properly typesetting your own book? Let’s find out. Pick the right font typeface and size for the content. "Design works not because people understand it, but because it's subliminal." It might be useful to imagine this in the context of rail transport. Poor typesetting is equivalent to a set of rusty train tracks: it clanks and clatters on the page, erratically dropping the reader in and out of the story. Then there’s the ideal ride, which is so smooth that passengers forget that they’re in a train. Though both mechanisms get the reader to the destination eventually, you’ll end up noticing that the second makes the journey (or, in this case, the reading experience) that much more enjoyable. Wait, what’s the difference between typesetting and typography? One more thing: don't mistake typesetting with typography. Typography is the “art” of text creation — the choice of font, the use of space, the addition of other decorative elements like drop shadows and embossing. (Picture the artistic stylization of the type in a lyric video, for instance.) Typesetting, on the other hand, is simply the “process” of setting text onto a page. You might say that typesetting is more a craft than an art. But what does it involve? 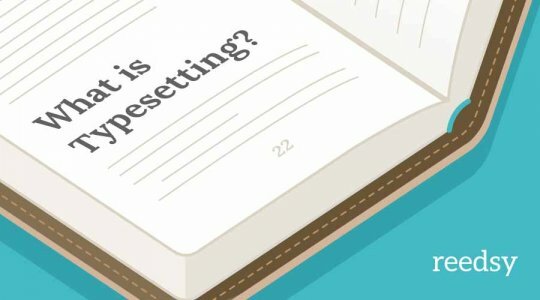 How exactly does typesetting work? If you’ve just realized you don’t actually know that much about typesetting, there’s a very good reason why: typesetting succeeds when the reader is completely oblivious to it. So let’s throw back the drapes and unmask it now. These are the first specifications that a typesetter will spend much time deciding. Why? Well, take the font, for instance. Should you go with serif or sans-serif? (This will probably depend on your genre.) In turn, will the use of font change your placement of the drop caps and illustrations? Everything on the page is part of a complex and delicate dynamic that communicates to the reader on a subliminal level — and getting one element wrong could be a capital offense in the making. 1. A 'ladder' of hyphenated words. Throws the paragraph off balance. 2. Poor word spacing. Too tight, too loose, or sometimes both in the same paragraph. Creates ugly 'rivers' of white space. 3. Hyphens used instead of en- or em-dashes. 4. Two spaces used between sentences. 5. Leading (inter-line spacing) too tight throughout. Text needs room to breathe. These are all steps the typesetter must consciously take to guarantee that the content of a book is clear, clean, and professional. Mess it up, and you risk dropping rattled readers out of your book altogether. Kerning: Adjusting the spacing between characters. Orphans and widows: Precluding “widows,” which occur when the last row of a paragraph ends on the top of a page, and “orphans,” which are its vice-versa. Word stacks: This occurs when consecutive rows of text start or end with the same word. Avoid it. 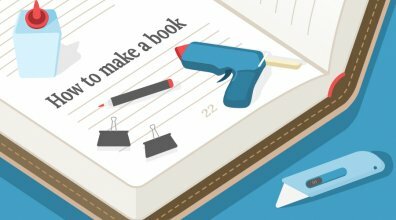 Drop caps: Stylizing the first character of the first paragraph in a chapter. Book blocks: The block of text on each facing page of a book should end on the same row. That’s a lot of variables to juggle! 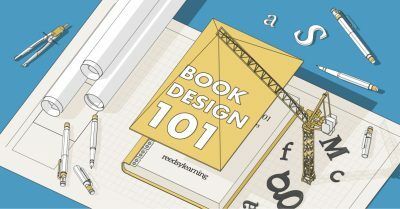 If you’re publishing a book that includes things other than text (think photography books or cookbooks), the interior of your book will moreover need to grapple with illustrations, captions, footnotes, and tables. This isn’t to say that Word can’t tackle all of the above. It can — to a degree. But there’s a ceiling to what you can accomplish with Word, for one very good reason: Word (and Microsoft Office) was never meant to be a typesetting software. It was built with businesspeople and simple reports in mind. So, the short answer is: no, Microsoft Word isn’t a great typesetting software for those who really want to professionally typeset. If you want to be driven bonkers by Word for ages, by all means, we won’t stop you. 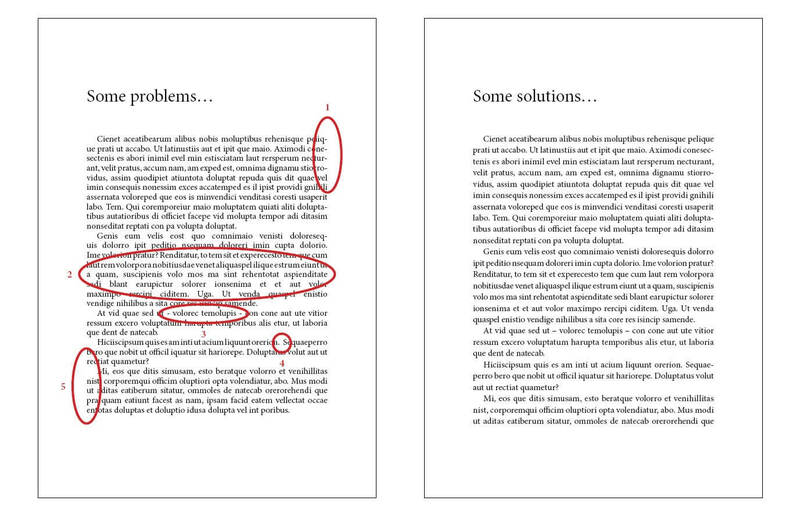 But there are better solutions if you want to typeset your book in a smart or aesthetically pleasing manner. Let’s turn to that obvious question now: how should you typeset your book? Typeset yourself through DIY typesetting software (not Microsoft Word). Which route is best? That depends on the type of book you're writing and the emphasis you're placing on creating the best product possible. For instance, if you’re publishing a book that’s illustration-intensive, we strongly recommend you to turn to a professional typesetter. Skip to the next section for some tips on finding the right typesetter. 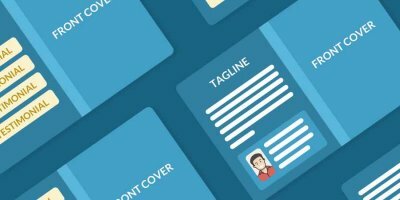 But first, we’ll explore the DIY formatting tools out there for those of you who want to typeset by yourself. The good news is that you’ve got a couple of options when it comes to typesetting software. So if you’re confused about which relationship is right for you, don’t worry: we’ll figure out your type right now. This is a neat (and free) typesetting software that gives you advanced control over your typesetting. It's great at formatting nonfiction books and documents that include cross-references, footnotes, tables, or figures. Be forewarned, though: LaTeX is an open-source system, so you’ll need to be somewhat versed in coding to extract the most out of it. It's a ❤️ for: Technical reports and text-only books. Find out more about LaTeX at its webpage. 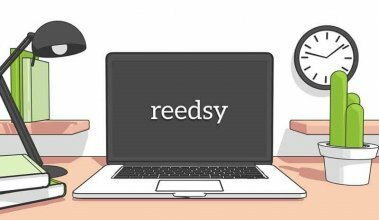 Disclaimer: we’re the team that created the Reedsy Book Editor. Basically, our objective was to simplify the process of making a beautifully typeset book. We believe that we succeeded. 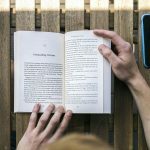 The Reedsy Book Editor is a one-click formatting tool that makes it incredibly easy to typeset books in a professional manner — and it is (and always will be) free for writers to use. 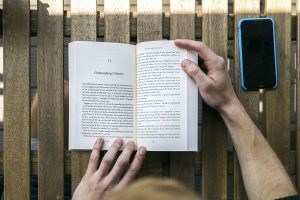 It's a ❤️ for: Text-only books. Find out more about the RBE in this FAQ. InDesign is an incredibly powerful design software that professional designers use. You can use it too, though it’ll set you back a cool $239. InDesign is capable of kerning, stroking, paragraph formatting, drop cap stylization — all things that might take you ages to carry out in Word. But the curve to master its functions is really steep. If you’re willing to spend that time (or if you’re publishing an illustration-intensive book), we recommend trying out its free one-month trial. It's a ❤️ for: More complex books that contain many illustrations and page spreads. Professional typesetters are experienced designers whose medium of choice is typography. However, it’s important to make sure that you find the right typesetter for your work, which is why we’ve got some tips for you below — straight from the professional typesetters on our marketplace. 1. Get a typesetter who’s familiar with the genre or market of your book. Euan Monaghan: Each category often brings its own conventions and styles. The writer may wish to follow these conventions, or utterly subvert them — but your designer needs to understand the 'normal' baseline for the intended readership. 2. Look at typesetting examples of their work. Rachel Reiss: Always feel free to ask them to email you some PDFs, so you can examine their work up close. If they’ve designed different types of books, do the designs vary from book to book and do the different designs feel as though they "fit" the content of the books? Is it easy and comfortable to read the text? PRO-TIP: If you’re on Reedsy’s marketplace, you can click through typesetters’ portfolios to check out typesetting examples of their work. 3. Judge the typesetter's work as a reader. Annabel Brandon: When you've encountered someone that may be suitable, try not to look at the design, instead, read their work. If it reads well, and you don't stumble or specifically notice anything, it's perfect. If a designer chooses to add ornamentation, there should be an apparent reason as to why. Otherwise, it's a distraction and doesn't honor the text itself. 4. Educate yourself and ask questions. Kevin Kane: Designers, especially book designers, are some of the nerdiest people you’ll ever meet. Having an interest in their trade can make a big difference in the author-designer relationship. Ask questions about the designer’s process, and about the decisions they make while designing a book. If you find a designer who can’t answer your questions about book design thoroughly, you’ve probably taken on the wrong designer. Generally, the cost of a typesetter will depend on the type of book that you’re publishing — the typesetters on Reedsy charge between $500 and $2,000, for instance. However, whichever route you choose in the end, just remember to keep the end goal in sight: a polished, clean, and welcoming book interior that invites readers into the story. Sign up to Reedsy and access our acclaimed book formatting tool for free.